Senate Republicans passed the most significant overhaul of the tax code since 1986 on Dec. 20, 2017. The President signed the bill into law. Central to the new tax law are major changes to how both corporate and individual taxes are calculated. The law permanently cuts the corporate tax rate from 35% to 21%, changes the deduction for so-called pass-through businesses, lowers the rates of individual tax brackets, increases the child tax credit, establishes a new family tax credit, and nearly doubles the standard deduction. According to estimates by the Congressional Budget Office (CBO) and the staff of the Joint Committee on Taxation, the law will reduce tax revenues by about $1,649 billion and decrease spending by about $194 billion between 2018 to 2027, leading to a $1,455 billion increase in the federal deficit over the next 10 years. The tax bill also repeals the individual mandate provision of the Affordable Care Act, a move that the CBO projects will increase insurance premiums and raise the number of uninsured Americans to 13 million by 2027. Health insurance premiums in the individual market are estimated to rise by about 10% in most years over the course of the decade. Removing the mandate may cause the individual market to tilt more toward sicker and older consumers, since the mandate served to nudge younger and healthier Americans to sign up for coverage. Many of the tax changes went into effect at the start of calendar year 2018. Individual taxpayers will start seeing withholding changes in their paychecks in February, once the Internal Revenue Service has time to give guidance to payroll administrators. The IRS announced it would begin accepting 2017 tax returns on Jan. 29. The IRS set the early opening date to ensure the security and readiness of key tax processing systems in advance of the opening and to assess the potential impact of tax legislation on 2017 tax returns. 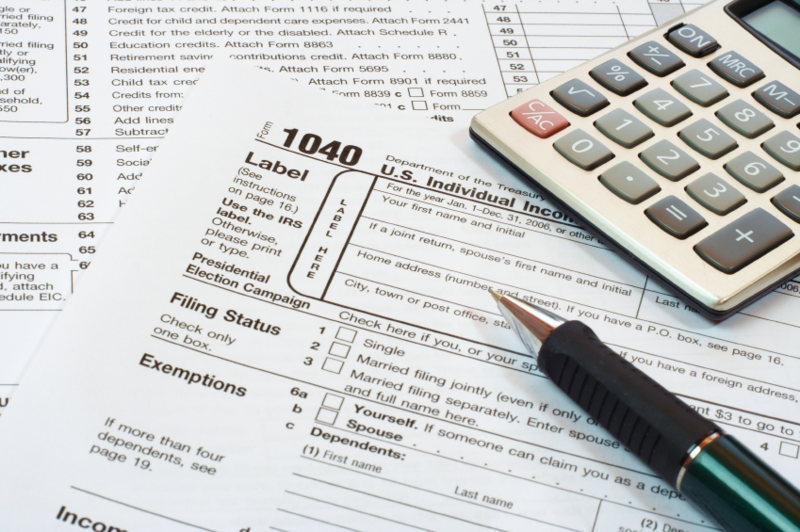 The tax filing season deadline this year is Apr. 17, two days later than the traditional Apr. 15 date. The bill does not include any of the egregious education deduction provisions that were included in the House version of the bill. However, some provisions that were maintained are worth noting. First, the charitable giving tax deduction remains, but with the increase in the standard deduction there is some concern that this may have a chilling effect on individual donations because fewer taxpayers will itemize deductions. Another change under the law could affect state educational funding and highly endowed colleges, potentially raising costs at some institutions. The law will levy a 1.4% excise tax on the investment income of private colleges and universities whose endowment assets are valued at $500,000 or more and have 500 full-time equivalent students. ADEA worked closely with its partner organizations to push for continued favorable tax treatment of higher education. After much wrangling, congressional leaders removed earlier provisions in the House bill that would have repealed a range of benefits, including tax-exempt tuition waivers for graduate students that help families finance higher education. ADEA will continue to update members on the tax law’s provisions and how they impact academic dentistry and research.